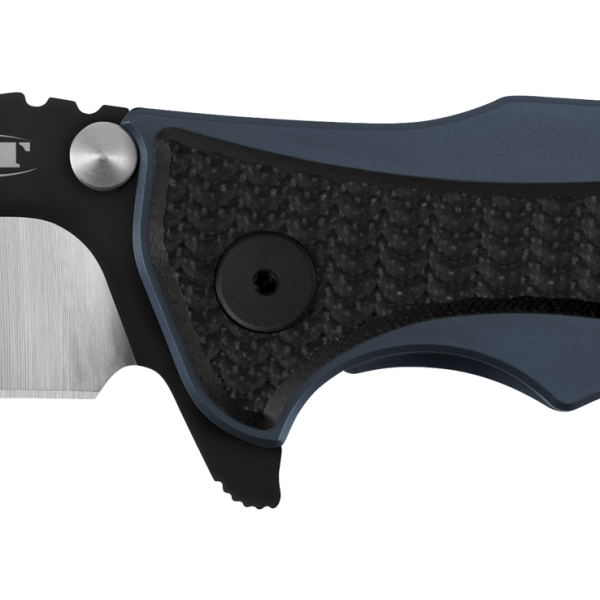 The 0393, which has elements from Rick Hinderer’s Maximus and Eklipse, features a harpoon-style version of Rick’s “spanto” blade in CPM 20CV. The blade shape offers maximum cutting power with a sturdy tip for piercing. The 20CV steel provides superior hardness and corrosion resistance, along with toughness, wear resistance, and excellent edge retention. For smooth and easy opening, the 0393’s blade moves out of the handle with our KVT ball-bearing opening and a handy flipper. 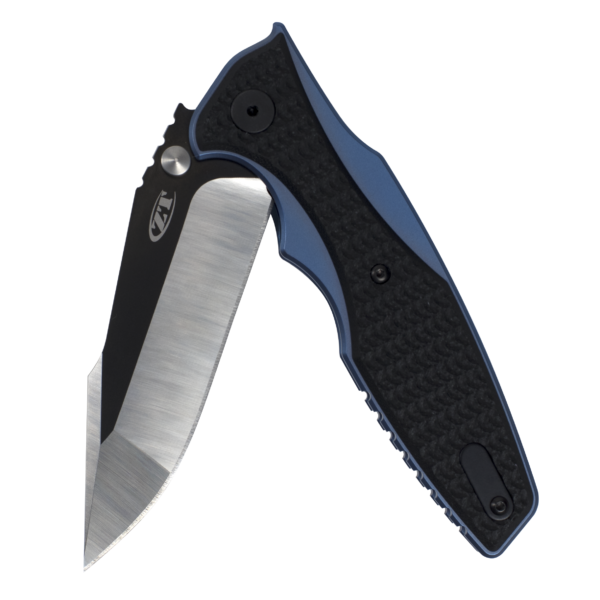 The 0393’s handle is built of titanium, anodized in a handsome blue. A G10 overlay, machined with a Rick Hinderer custom texture, not only enhances grip, but also adds to the knife’s outstanding look. 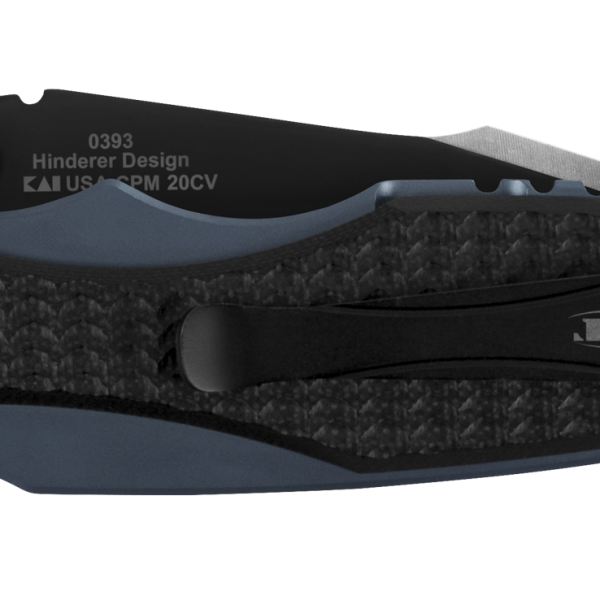 In addition, the new 0393 will also accept a selection of Hinderer custom hardware so you can make it your own.